Last week's post touched on what appears to be an issue worth pursuing. Does the financial strength ratings exercise add any value to the decision-making process, and should consumers/advisers be guided by the research provided by Standard & Poor's and A.M. Best & Co? Ratings houses focus on quantitative analysis - balance sheets, P & L. etc., and provide a strength rating based on information provided by the rated entity, i.e. their client. In other words, the commercial aspects are thoroughly scrutinised and subject to robust modelling and analysis. Qualitative analysis is only given a light feather dusting. In other words, the cultural aspects are not so comprehensively dealt with as the 'hard' factors mentioned above. This apparent imbalance does nothing to assist in making a more informed judgement by either a potential client or his/her adviser. From an adviser perspective, reliance on the rating from a third-party organisation, is unlikely to be an effective defence should litigation ensue following failure of a product to perform satisfactorily. 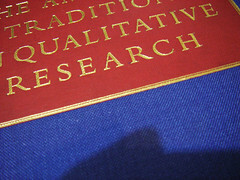 In this regard, seeking out qualitative analysis can be a little trickier. However, during the Laird's final year of exile across the ditch, an enjoyable, interesting, and challenging period was spent as CEO of W.A. Taylor & Co Pty, now taken over by Beaton & Co, authors and producers of robust qualitative research on life insurance companies on both sides of the Tasman. On the basis that the research methodology has been continued by the new owners, the findings provide a very reliable indicator of adviser views of the relative performance of the companies operating in the NZ Life Industry. Here, a brief explanation is necessary. Around 1000 NZ advisers are asked a series of questions each year relating to factors relevant to the quality of performance, e.g. claims management, underwriting decisions, B.D.M. representation, pricing etc. - around 50 factors are identified, and the advisers are asked to rank them in order of importance. The research then asks for the performance of each company to be rated, and a score is allocated to provide a measurement of performance. It doesn't matter if a company chooses not to participate, the advisers are approached and asked to provide their view of all companies in the market. I note with some disappointment that Sovereign has chosen not to participate further, but I assume that with well over 60% of the company's business coming from its banking parent, and another fair-sized chunk from Sovereign's Q.F.E. advisers, the views of independent advisers are all but irrelevant. The financial strength rating exercise doesn't address such qualitative issues, and the Beaton Report provides data to subscribing life companies, but where can advisers and potential clients get access to information on issues like price stability, product claims losses, and an indication of claims paying willingness? Product rating houses such as Graeme Lindsay's Strategy Financial Services Ltd, QuoteMonster etc. provide a valuable service in supplying advisers with technical product analysis, but the qualitative information available is anecdotal at best. The product providers could have the Financial Services Council statistics made available to the public, but they're not renowned for subscribing to such transparency, preferring to hide behind the corporate veil of 'commercially sensitive information'. Publicising these statistics may not solve all the issues but it would be a start, and change has to start somewhere. Investment product commissions - R.I.P.